The main condition for the comfortable life of each country house is the presence of sewage, and if there is none, then a septic tank is most often equipped. As a rule, such septic tanks need constant pumping of sewage, for which they call the ashenizer, and as a result it leads to additional expenses. Therefore, you can make a septic tank without pumping your own hands. Thanks to this design there is no need to call the machine for pumping. However, before you start doing it, it is important to understand on what basis it works and where it can be located. Such a septic tank has several adjacent reservoirs. In most cases, two and sometimes three cameras are made. The first chamber is designed for a sump. 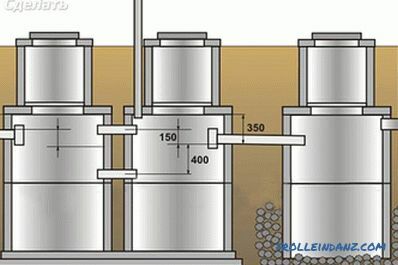 If the septic tank is two-chamber, then the volume of the first chamber will have 3/4 of the entire structure. 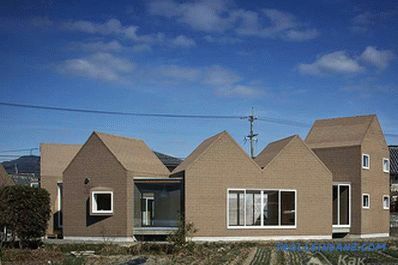 If the design is three-chambered, then its volume will be equal to half of the total volume of the septic tank. When the drains enter the first chamber, they are cleared because the heavy fractions are deposited, and those that flow more easily into the next chamber. The overflow is carried out as the first is filled, and already in the last chamber a complete cleaning of the liquid is carried out, which can be used for irrigation or sent to a drainage well. It is very important that each tank is tight. Based on the design, in the walls and at the bottom of the last chamber it is necessary to make small holes. 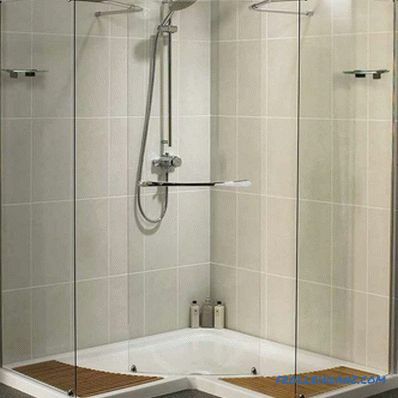 This will allow you to easily remove moisture, as well as completely eliminate its accumulation. In order to make a septic tank without pumping with your own hands, it is important to correctly calculate its volume, which is determined based on water consumption. For example, the rate of daily water consumption per person is two hundred liters. This will help determine the total amount of water consumption per resident. From the result obtained to the volume obtained, you must add 20%. Calculate the desired size of the pit is very simple. 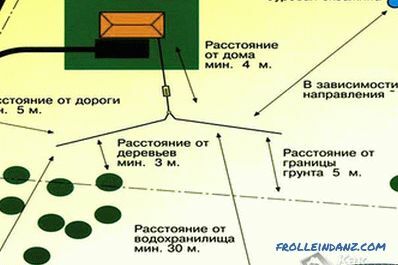 For example, if you need a septic tank, the volume of which will be equal to 18 m³, then the foundation pit is made with a length and depth of 3 m, and a width of 2 meters. Each side is multiplied and the required volume is obtained. When the pipeline from the house is long enough, then there is a high probability of its fast clogging. Therefore, if it is not possible to install a septic tank near the house, then control wells are made. 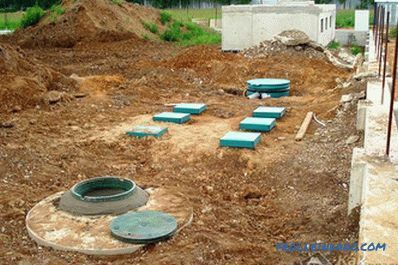 As for the location of the septic tank without pumping, there are specific requirements. For example, it is desirable to place it at a distance of no more than ten meters from a house. A very long sewer line with a few turns can get clogged up, which will prevent the rapid flow of sewage into the septic tank. Also, the septic tank should be located at a certain distance from the water source. When laying pipes to a septic tank, it is necessary to observe a slope of 2 centimeters per meter of pipe. If the septic tank is too far, then the desired inclination will be difficult to achieve. As practice shows, a large septic tank is being filled more slowly. Although a biological septic tank without pumping a large size will have a longer service life, there is another side to the coin. 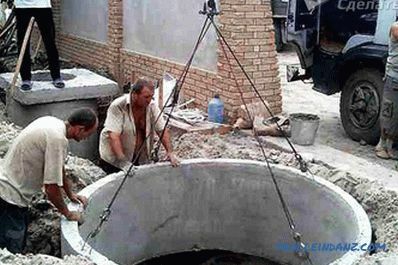 If the family consists of four people, then the size of the septic tank can be three meters in depth, width and length. This will be equal to 27 m³. But here it is important to understand that the depth of the septic tank must be considered not from the lid, but from the drain pipe. 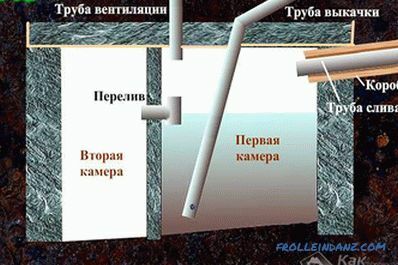 It is not necessary to assume that the higher this pipe is, the better, since the septic tank, without pumping out, needs a fluid to flow into another chamber, it is necessary for the constant multiplication of bacteria in each of the chambers. 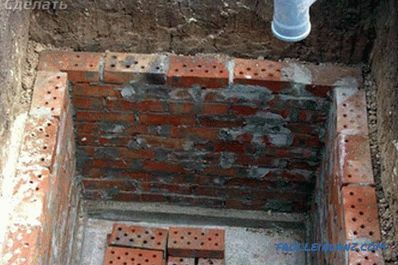 Moreover, the depth of the pit must be calculated depending on the height of the soil waters If they are close, it is unlikely to make a deep septic tank. For this reason, it is recommended to study the composition of the soil. To save time, the pit for the septic tank can be dug with an excavator, if this is not possible, you will have to dig manually. Septic tank without bottom. The bottom of the septic tank is filled with a layer of 25 cm sand or gravel. 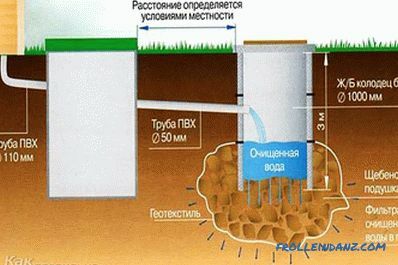 To avoid silting, experts recommend drilling two or three wells, the diameter of which can be 100 mm. 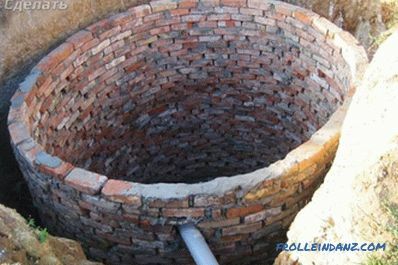 Asbestos or plastic pipes are inserted into these wells and filled with coarse rubble.The first chamber is laid out in continuous masonry. As for the second chamber, here the brick is stacked in a checkerboard pattern, leaving a gap of 1/3 the length of the brick. This method allows to increase the quality of drainage of sewage, however, it can adversely affect groundwater if it is nearby. Hermetic septic tank. This version of the septic tank at the bottom has a foundation, which is necessarily reinforced. 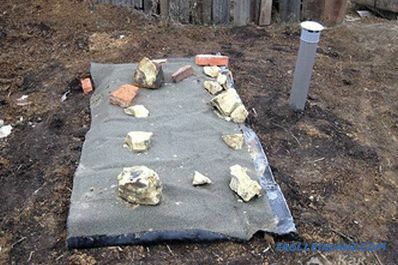 As soon as the concrete froze, a brick is put. The walls of such a septic tank can be 25 cm thick, and between the chambers a 12 cm thick partition should be made. To increase the tightness, the walls should be treated with mastic. As for the shape of such a septic tank, it can be rectangular or round. How to make a cover for this septic tank will be described below. Some advantages and disadvantages of this design should be taken into account. Big risk of sewage getting into the ground. Compulsory use of quality material due to lower resistance to aggressive media. Manufacturing such a septic tank will require much more effort. After the pit is ready, the first thing to do is to build a formwork. To simplify this process a little bit, you can use a sliding formwork, which is made for one part of the pit, and after hardening of the concrete moves to the other. For formwork, you can use boards made of USB plates, as this material is moisture resistant. Moreover, it is much cheaper in contrast to the board, made of boards. The presence of reinforcement is mandatory, which will give the structure strength and rigidity. If there are no fittings, then you can use all sorts of metal cylindrical objects. This may be an old pipe or corner. The main condition when choosing a material is its bending strength. 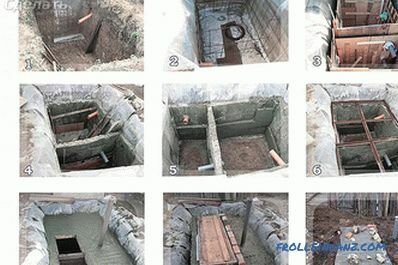 After installation of the formwork with a frequency of 30 cm, round holes are cut into which pipes are installed and plugged into the ground at least 50 mm. Also, before pouring concrete, a hole is made under the pipe coming from the house. The composition of the solution should include sand, portland cement, water and a liquid superplasticizer. When the body of the septic tank of concrete monolith is ready, it must be divided into separate chambers. 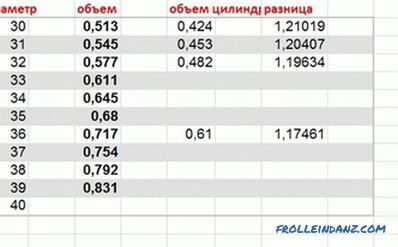 How to do the calculations we have said above. Some advantages and disadvantages of this design should be taken into account. 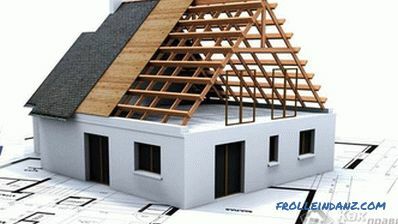 Practicality and availability of building material. It is necessary to make arrangement of formwork. 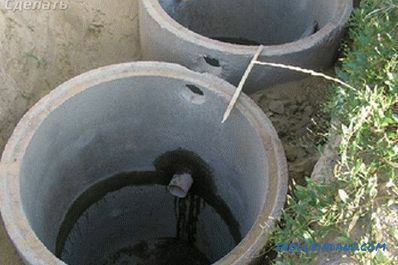 Suitable The diameter of reinforced concrete rings should be selected on the basis of the required volume of the septic tank. In most cases, no more than four rings are used in one chamber. It will be difficult to install them yourself, therefore, consistently, with the help of special equipment, installation can be carried out. It should be noted that the seams between the rings must be sealed with a solution, and then treated with waterproofing. An overflow pipe is laid between the chambers, and the top is closed with a hatch. This technology has some advantages and disadvantages. High tightness of the structure. Difficulty connecting the cameras to each other. Do not do without the help of special equipment. The most important requirement for a particular septic tank without pumping is the durability and reliability of the design. For safety reasons, a septic tank is constructed in a place where the groundwater level is low. After a few weeks the walls and partitions of the septic tank froze, you can proceed to the preparation of the pouring floor. It should be noted that this overlap can be used for both brick and monolithic concrete structures. To overlap the septic tank on the structure fit several channels. Then fit the shield, made of boards. There should be small sides on the shield, indicating a hatch. It is best to place the hatch above the partition of two chambers, since it will be possible to have access to two chambers at once. At this stage of work, a ventilation pipe is installed, which should fall into the pit by 15-20 cm. One pipe will be forcing, and the second output. To ensure the strength of the overlap, it is necessary to lay the reinforcement and after that fill it with mortar. 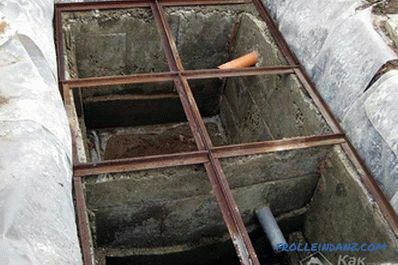 There is a simpler option, which is to use a finished reinforced concrete cover with a hole for the hatch, but its installation must be carried out with the help of special equipment. So, now the septic tank without pumping is ready. 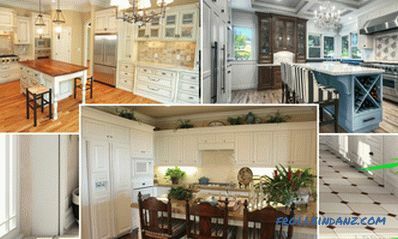 Such a product made by yourself can cost much less, in contrast to the cost of the work of the hired team of specialists. For the successful completion of the process it is necessary to follow all recommendations and sequence of work exactly. Regarding ventilation it is best to use an asbestos pipe or a plastic PVC. You can also make a chute of the boards, and the part that will be in the pit should be treated with special mastic. To make it look nice from the outside, it can be painted and an umbrella made of galvanized sheet can be fitted on top. The pipe used for ventilation can be equipped for pumping out on the principle of nesting dolls. A narrower pipe is inserted into the wide ventilation pipe, which will be used for pumping. If your septic tank does not have a concrete bottom, it should not be flush with the groundwater. Before starting work on digging a pit, it is necessary to accurately calculate the required volume, which should be 20% more than what was calculated. When planning and purchasing building materials for a septic tank, it is not worth saving. If you buy low-quality material, it can adversely affect the final result, and all your efforts will be reduced to zero. Use mixtures and bacterial preparations that will prevent unpleasant odors. These bacteria will contribute to the rapid decomposition of waste and the fermentation process. These are the basic recommendations, adhering to which it will be much easier for you to do the job better. If you have extensive experience in the manufacture of septic tank without pumping, then write your recommendations for this article. Perhaps your advice will help those who are experiencing certain difficulties. In this clip you can see how to lower concrete rings with your bare hands where a crane cannot work.